Some autism regimens are stalwarts that continue to demonstrate improvement (ABA). Some fade away – perhaps even to re-emerge (secretin?). Others hang around until more testing is documented (Memantine). Many can cause harm (Zoloft). A few are useful for specific purposes and so they continue to have a biomedical following. Naltrexone treatment falls in the last category. The medication was approved in the 1990’s for addiction treatments including alcoholism, at a dosage range of 50+ milligrams per day. The thinking is that, if people don’t get high from alcohol and won’t suffer it’s absence, they won’t continue to drink. This is not the same chemical as Antabuse, which turns to formaldehyde and makes you SICK when you drink. Also, it shouldn’t be confused with the morphine antagonists Naloxone and nalorphine. In her 2006 report, Dr. Jaquelyn McCandless concluded, “As an effective, non-toxic, non-addicting, and inexpensive behavioral and immunomodulating intervention, LDN is joining our biomedical arsenal to help more and more children recover from autism as well as helping anyone with autoimmune diseases and cancer.” Her paper was entitled, “Low-Dose Naltrexone for Mood Regulation and Immunomodulation in ASD”. Sound like anyone you know? Dr. McCandless’ protocol calls for specific timing (9-11PM) with a naltrexone-compounded cream (in the 1-1/2 to 4-1/2 mg. range) applied to a sleeping patient’s back or forearms. Once, a dad asked if he should also dance around the bed and chant. Funny guy. Which patients? What dose? What are the positive changes? The side effects? For individual patients, in order to achieve the goal of enhanced communication, doctors sometimes vary formulations, frequencies, and timing based on responses. 1. It’s complicated and so requires parent education and resources. 2. After starting, the therapy requires tailoring to the patient’s responses and the family situation. 3. Patients don’t usually show immediate improvement, it may take up to 8 weeks. 4. Not infrequently, an apparent deterioration in behavior may occur in the early stages of treatment. Of course, many biomedical interventions are subject to these same limitations. That original naltrexone experience did prove significant and sustained improvement for a targeted, though small, population. For parents who wish to learn more about this subject, the Low Dose Naltrexone website is very informative and the Yahoo Group LDN is a great place to communicate with other users. My discussion can be found here. This entry was posted on Saturday, May 11th, 2013 at 7:48 pm	and is filed under >ALL<, AD/HD, Alternative and Complementary Medicine for ASD, Asperger's Syndrome, Autism Therapies, Chelation, Patient experiences, Reversing autism, Special Therapies. You can follow any responses to this entry through the RSS 2.0 feed. You can leave a response, or trackback from your own site. HI,are there any parents who have tried this,i am very interested in trying this.the moe i research the more promising it looks. This paragraph provides clear idea for the new users of blogging, that really how to do blogging and site-building. LDN has changed my life and my daughter’s life. I have Asperger’s and my daughter has a diagnosis of moderate autism. Goodbye insomnia, and hello sleep. I had chronic pain from multiple health conditions. Goodbye to that too! For my daughter, it improved her mood as well. She is 12 and *thanks* me regularly for LDN. How cute is that? Importantly, as a clinician, I am certain she has moved to a diagnosis of “high functioning autism”. This is supposed to be impossible. In 18 months, she has moved from all resource classes and failing state testing to “regular academic classes” and passing the state tests. 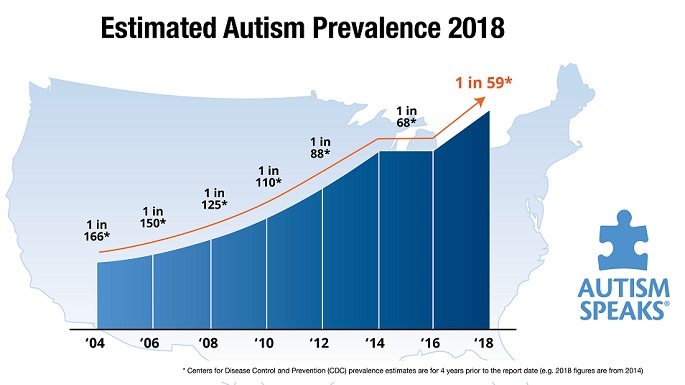 Here’s the deal and a little about what we did: Many children with autism have underlying chronic infections or autoimmune conditions that are not easily detected (PANDAS, Lyme disease (which is *everywhere* contrary to popular belief), chronic unresolved viral infections). We use Beyond Balance antimicrobials (but there are other quality ones out there) because antibiotics harm the gut flora (already altered in those of us with ASD). Long use of pharmaceutical antifungals and antivirals is hard on the liver. Anyway … Starting with LDN made a huge difference for my daughter (who has all of the above conditions btw). Giving her a quality broccoli extract has drastically reduced meltdowns. Treating her partial seizure disorder reduced meltdowns and aggression as well (aggression is not an uncommon manifestation of pediatric epilepsy; 33%+ of people with ASD have a seizure disorder). The other thing that comes with chronic infections and anything inflammatory or autoimmune (like autism, which causes brain inflammation) is vitamin and mineral deficiencies. Magnesium *RBC* is the right test to order for magnesium status and almost every American will come up with a deficiency – especially autistic or chronically ill individuals. In addition, 98% of all autistic people have some variant of the MTHFR gene mutation. This should be addressed not only because it opens up metabolic pathways in the individual that result in fewer symptoms, but also because it lowers heart disease and diabetes risk down the road. LDN was the beginning of our road to *remarkable* changes!!! How long was your daughter on LDN before you started seeing results? What was the dosage and her weight? I am following this and started my 11 year old on LDN. He’ son 1 mg compounded capsule given at 8 pm. It’s still affecting his sleep a little and his appetite (which is always huge; he’s on SCD, with some sweet potato lately here/there) is down and he’s a lot more picky. Does that subside? thank you for all the info on your site, it really helps us parents!!! Any unusual effects from LDN usually subside in the first weeks of treatment. If you are concerned, you can always stop for a week or so to ascertain if the naltrexone is the cause. I am a primary care physician (MD) in Dublin and much to my surprise I see about 5-10 autistic patients per year. Most of them are brought here at about 4 or 5 and usually they come because they have no speech or have lost their speech.I do several blood and uriine tests, some of which I send to DHA lab in Illinois. I use LDN (www.lowdosenaltrexone.org) and methyl B12 injections on almost all of them as well as individualised doses of nutrients such as zinc, B6 ,magnesium, etc. Many of them start to speak after 3-6 months. Courses for doctors are arranged occasasionally in America and Australia by http://www.walshinstitute.org. If you have an autistic child get moving-there is hope for them but tiime is running out. Please don’t ever tell parents that time is running out. Our hope is the only thing that sustains us most days. Children still make significant gains as parents continue to do things to help them way past 5 years old. We “get moving” more than you can ever imagine. For many of us, It’s all we do. What impact would this have on autistic adults? My daughter is 26 and was diagnosed with high functioning Aspergers at age 17. Diagnoses of narcolepsy/cataplexy were added when she was 23. My son is also 26. Severe ‘autism’,sev OCD, severe tic disorder that prevents sleep… Diagnosed as tourette, but I suspect PANDAS or PANS. Had consult with a local functional med Dr. Yesterday! 3 month supply of LDN is on its way. I am guardedly optimistic, as I have tried so many promising treatments through the last couple of decades. Most recently 02 and FCT which seem to be helping. Hoping LDN is another piece to my sons puzzle. I don’t usually give personal advice in this forum. However, previously published dosages range from 1.5mg per day, as high as 6. I caution you that further counsel should involve a physician visit. It’s never too late to achieve optimal health and observe behavioral and social changes. It’s not false hope if it works. I have a 9-year-old boy who has been diagnosed with borderline Aspberger’s syndrome. He makes good grades in school but has noticeable social problems–nothing harmful, but his behavior alienates his peers. Would low dose naltrexone help him? Is it worth a try? Under the care of an experienced clinician, it’s worth a try. We have started my 11 year old ASD boy on LDN 1.5 mg for the past two weeks. After the 3rd day saw a swelling on his lip and a boil on his nose. Then it went down. For a couple of days after that he used keep his fist clenched all the time. which was strange because he can’t usually make a fist. Then he had couple of days of bad stomach. Now he has mild pimple looking rashes on his back. Is the LDN clearing out the viruses and is this like a die off. I don’t know what to think about it. I have asked my Doctor but he has not yet replied. Not sure how you administered the medication (cream, oral pill, liquid? ), but it is one possibility. Of course, he could just have caught a virus coincidentally, but a new symptom 3 weeks into the course would be unusual. The fist clenching could be a new ‘stim’, ? related to LDN or not? Also, Molluscum Contagiousum can have this course (?related to starting LDN, which we have seen – it’s caused by a virus). More importantly, try to stay with it for a few more weeks to see if you see improvement in behavior or communication. Thank you for the reply. I have been giving it in the form of a pill, I got from the compounding Pharmacy. I give it to him in the night. I give it after 4 hours of eating, as they say it is best on empty stomach. Thank you for the advice. I will stay with the course and update. Just wanted to clarify. Do you think LDN would interfere with PhosChol? I just started him on it. I have a high functioning child with ADHD and expressive and receptive language delays, plus anxiety age 10. Thank you. I just started my 12 year old Aspergers son on LDN. His main symptoms are social interaction issues, some repetitive movements/stim, and constant talking and repeating of stories (almost like perservative thoughts spoken out loud). He also has started to refuse school because he says it is too loud and too messy. He is now at home and already seems to be better – less stress. I started him on .5 mg orally given at night – he is 73 lbs. Is this dose too low? Thank you.